It was hard to tell whether the Gusti, the Rind (see below for cattle terminology) or the young breeders were the most excited and elated. These youngsters presented their animals with such dedication and enthusiasm, showing them off in the best possible light. The suspense was huge and the crowd witnessed an unmissable cattle show, with handsome animals and plenty of entertainment. Upon arrival, the animals were cleaned and washed down, their hooves powdered and their tails given a quick brush. Any Gusti or Rind that got dirty during the journey were washed down with the on-site pressure washer before they were taken to the square. Their coats were all clipped, their horns polished and a few animals even had a handful of hay. The young breeders patted their beautifully presented animals, talking to them in reassuring tones so they wouldn't get too nervous. Here and there, you could even see one of the girls giving her Gusti a little kiss. Despite the great tension and nervousness, many were laughing and fooling around, not just the young breeders, but also most of the animals, who seemed to enjoy the attention. "These animals are absolutely splendid!" said judge Patrick Siegrist from Heimenschwend in praise of the contest. 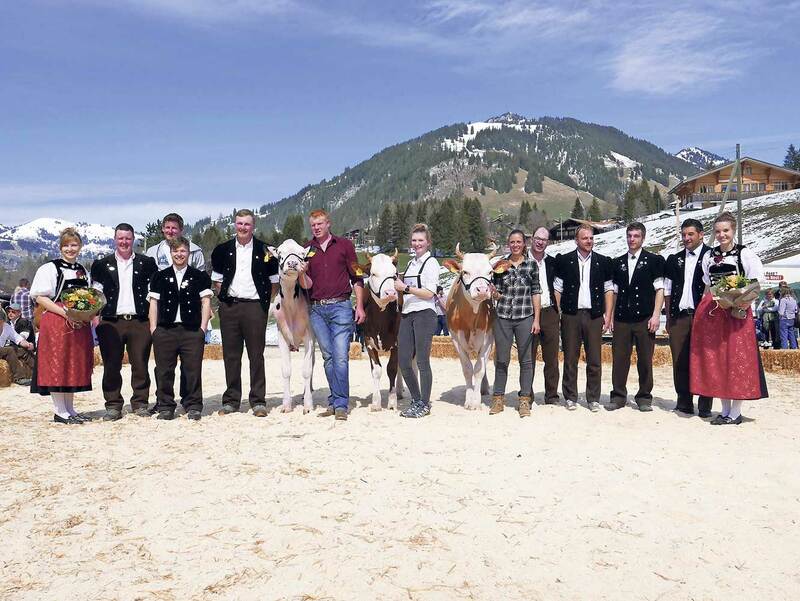 After the show, he told the Anzeiger von Saanen that the quality is always very high in the Saanenland, which, of course, makes judging particularly interesting. Tamara Perreten from Feutersoey was thrilled when her Alena became supreme champion. Her Rind got the highest score for meeting the criteria for the Swiss Fleckvieh breed. She also won the Swiss Fleckvieh category. In addition to Alenia, this dedicated young breeder came into the arena with a Holsteiner owned by her brother, Nicolas. Here too, she scored points. In the Miss Simmental contest, Dorinda by Corinne Matti from Turbach emerged as the winner. During the awards ceremony, this young breeder’s great professionalism was noted and the way she had handled her animal in a calm and affectionate manner. She paraded Dorinda before the judge with flying colours, showing her off at her best. Miss Red Holstein/Holstein was won by Nala, owned by William Zahler. A tall, lean animal, Nala had all the typical characteristics of this popular milking breed. Young breeders from Turbach won the local cup. Having prepared their three animals particularly well and parading them in the ring, they were the most well-coordinated team among all the local contestants. Animals up to one year of age are called a Kalb (calf). Above one year of age, they’re a Gusti (yearling), and when a Gusti is in calf it becomes a Rind (heifer). Once a Rind has given birth to a calf it becomes a Kuh (cow). Terminology may differ from region to region.